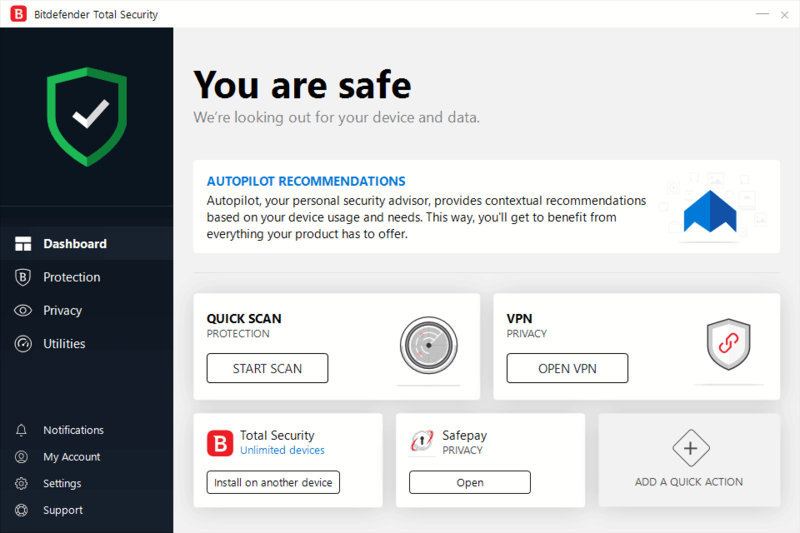 Bitdefender recently released its new set of security products, and we already reviewed Bitdefender Total Security 2019 software. However, if you don’t plan to use certain features from Total Security 2019, or if you just want protection for a single Windows device, you might be interested in Internet Security 2019. What does Bitdefender Internet Security 2019 have to offer? Just like Total Security 2019, the Internet Security 2019 offers real-time protection against all sorts of online threats. There’s also a built-in ransomware protection that will protect your files. Safe Files feature is also available, so you can easily select which directories you want to protect. Advanced Threat Defense feature is also present, and it will analyze the behavior of your applications and alert you if they try to perform anything suspicious. Rescue Mode is also available, so if your PC is infected by a rootkit, you can use this feature to remove it. 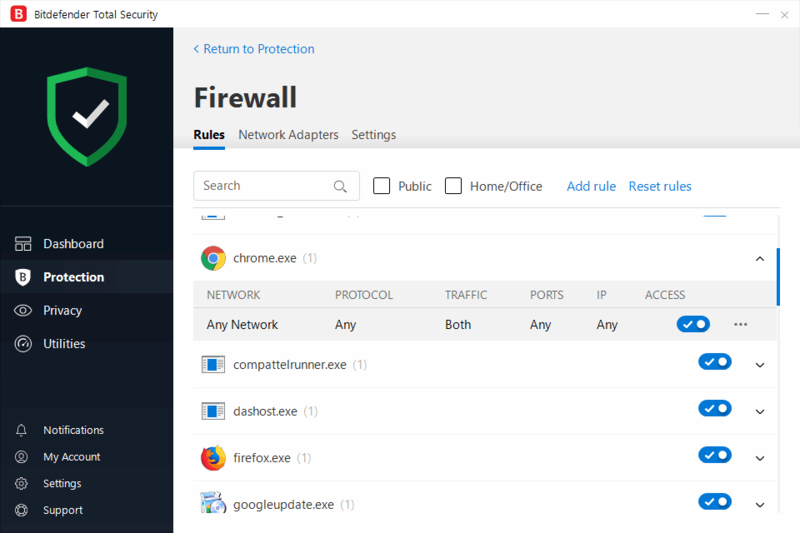 Just like any other antivirus, this software also has its own firewall, so you can easily create rules and prevent certain applications from accessing the Internet. 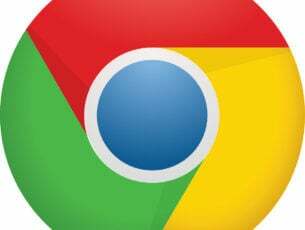 Bitdefender Internet Security 2019 will install its own extension in your browser and inform you about any malicious websites. Thanks to the Web Attack Prevention feature, all malicious search results will be labeled, so you won’t access them by accident. Safe Banking feature is also available allowing you to make payments in Bitdefender’s secure browser and ensure that your personal or banking information isn’t stolen. Another useful feature is Webcam protection, and thanks to it, only the approved applications will be able to access your webcam. 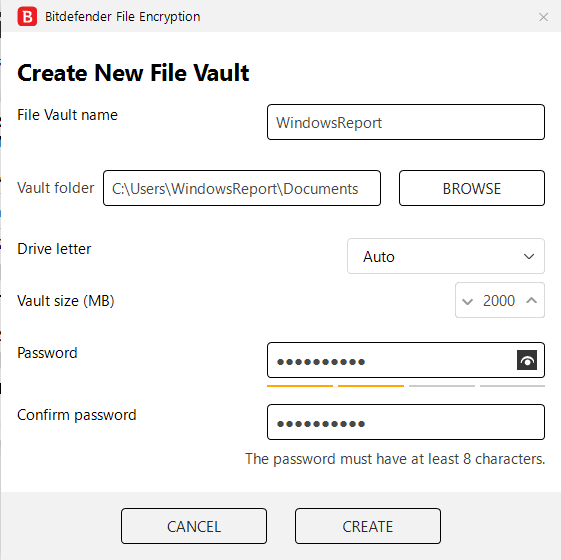 Bitdefender Internet Security 2019 has file encryption feature, so you can easily protect important files. Simply create a file vault, protect it with a password and it will encrypt and protect all your files in it. This is an incredibly useful feature if you’re sharing your PC with a coworker or a roommate. 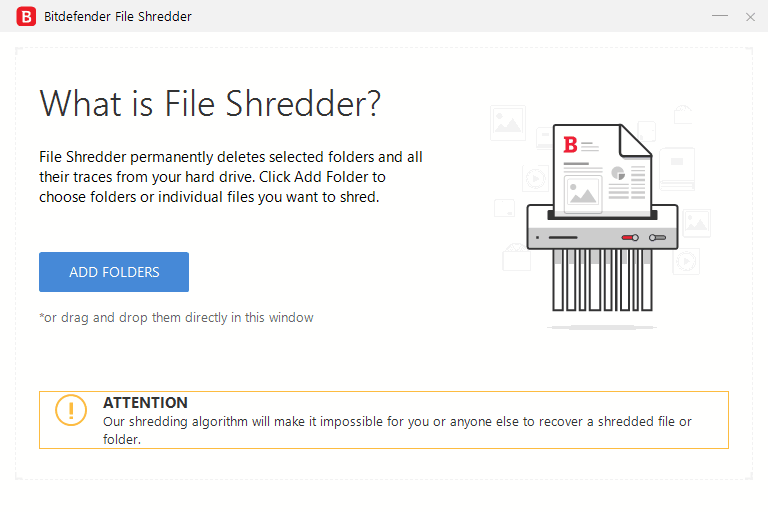 Another great feature for users that are sharing their PC is File Shredder. Using this feature, you can permanently remove files from your PC and prevent other users from recovering them. 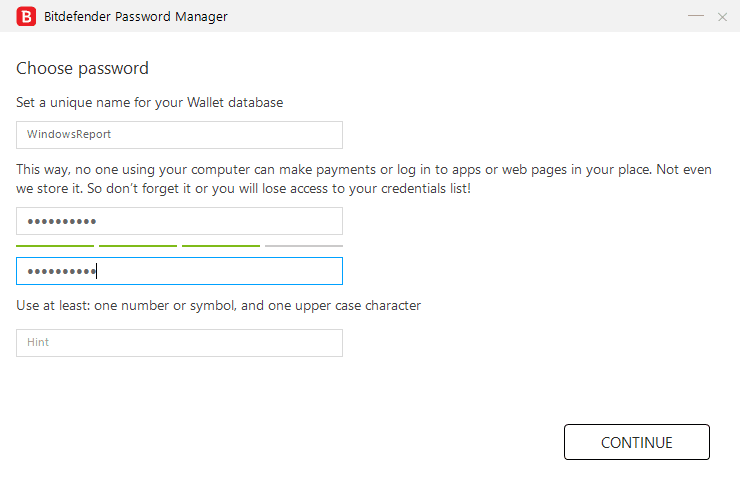 Internet Security 2019 also has its own password manager, and you can store important data, such as your personal information or website credentials in it. This feature might not be as advanced as other password managers, but it might come in handy if you’re not using a password manager already. There are Vulnerability Assessment and Wi-Fi Security features available, so you’ll be notified if your PC or your Wi-Fi network is vulnerable. Just like the Total Security version, this one also has a Parental Control support, so you can limit which applications and websites your kids can use. Bitdefender VPN is also available if you want an extra layer of protection online. If you want to keep your online activity hidden from your ISP or from malicious users, then Bitdefender VPN is the right choice for you. Bear in mind that the Free version is limited to 200MB per day and a random server. However, you can remove both these limitations by subscribing to the monthly or yearly Premium plan. As you probably noticed, both Bitdefender Total Security and Internet Security share a lot of features. They both have advanced system protection, and both will protect your PC from malicious websites and applications. However, the two have a couple of small but important differences. The Internet Security version doesn’t have OneClick Optimizer feature, so you won’t be able to optimize your devices for maximum performance. This isn’t a major drawback, but some users might miss this feature. Another missing feature is Anti-Theft. 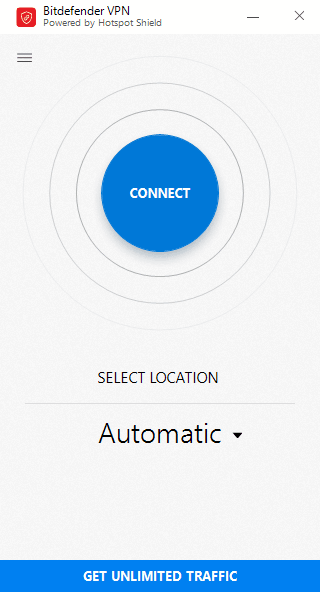 This feature is incredibly useful since it allows you to track your device even if it gets stolen. It’s important to mention that this feature is available for all platforms, so you can use it to track your laptop, smartphone or tablet. Unfortunately, this feature is available only in Total Security version. Unlike Total Security 2019, Internet Security version is a Windows exclusive, so it’s not available on other platforms. Although the antivirus and its security features aren’t available, the Parental Control feature will still work, regardless of the platform you’re using, which is a major plus. 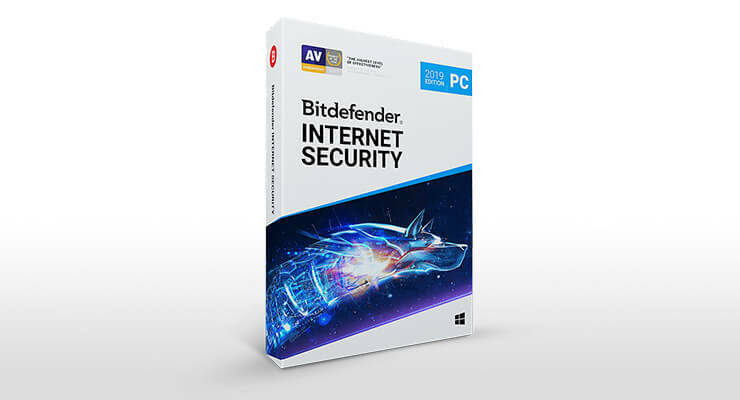 Bitdefender Internet Security 2019 offers almost the same features as the Total Security version, so it will protect your Windows device completely. OneClick Optimizer isn’t a feature that most users will miss, but the lack of Anti-Theft feature can be noticeable. 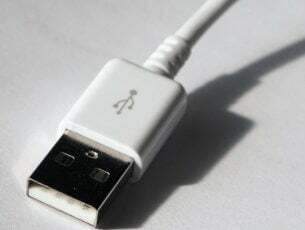 The lack of multi-platform support can be a problem for some users, especially if you have Mac OS, iOS, and Android device. Regarding the license, you can get a license for one, three, five or ten devices, which makes Internet Security perfect for home and business users alike. If you’re strictly a Windows user, Bitdefender Internet Security will offer complete protection for your PC, so you should definitely consider it.